The attractive hide-aways of the Bucks County countryside inspire Ben's art. 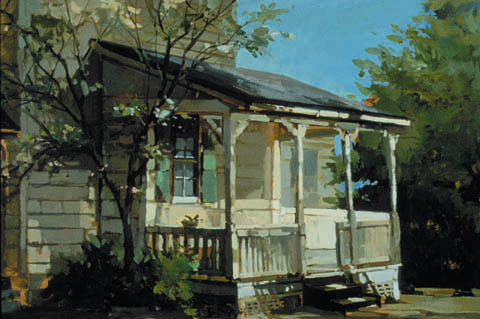 This work,Back Porch, shows the well-built and solid home bathed in light and shadow. Suggestive of the sun-drenched backyards of Pennsylvania, this work is both traditional and tempting.